Posted on June 7, 2016 . 1. Automate and grow your business with comprehensive software. Global features to manage multiple organizations, locations, warehouses, languages, currencies and tax rules, with executive visibility across all your organizations. 2. Improved profit margins result from Trek Cloud ERP’s SaaS business software. Clients have achieved significant improvements in profit margins following their implementations of Trek Cloud ERP’s SaaS business software. A percentage of the profit margin increase customers see relates to their ability to better manage their inventory following implementation. With better insight to inventory levels and needs, they are able to decrease their stocked inventory, improve inventory turns, and have the right inventory on hand to meet demand. Other factors that result in profit margin improvements include better ability to manage cash flow, faster fulfillment, reduced cycle times, improved accuracy, and customer service factors that result in repeat business. 3. Deployment is faster and easier with our SaaS business software. Trek Global provides a guided implementation service resulting in fast, reliable implementations that get clients up and running without any major operational disruption. Additionally, since Trek Cloud ERP’s SaaS business software can be accessed via any web browser, you do not have to buy or install special hardware, further reducing your project timeline. 4. Included are EDI documents that allow you to streamline & grow your business. You can automate and streamline transactions with your business partners using Electronic Data Interchange (EDI). EDI lets you go paperless. You can send purchase orders, invoices, shipping documents, order confirmations and more between Trek Cloud’s SaaS business system and your business partners’ systems. Doing this also improves accuracy and frees up staff to do other high value tasks. 5. Our user-friendly SaaS business software means fast user adoption. We not only created an intuitive, user-friendly interface for our SaaS business software, we also included help tools that guide users in learning system functionality. Tool Tips provide definitions of the fields in the system. Helpful Hints give step-by-step instructions in how to fill out forms and enter data into windows. Other popular features that make the system user friendly include graphical dashboards that can be configured specific to each user, a “favorites” area on the dashboard where a user can add links to the windows, forms and reports they use the most, and the ability to both browse and search for the system features you need. Learn more with our article, User Friendly ERP System: Our Focus on User Adoption. 6. Get real-time access from anywhere, any time and from any device. Trek Cloud’s SaaS business software provides 24×7×365 on-demand, real-time and secure login access from wherever it’s needed, whether you are at a customer’s location, on the shop floor or in the board room. You can log in securely from your computer or device. Easily integrate it with other devices, including receipt printers, scanners, scales and more. 7. Configure the SaaS business software to meet your unique needs. Trek Cloud’s SaaS business software can be configured to meet your unique business requirements. Among the features you can configure are the workflows, approval processes, business rules, reporting tools and user windows. 8. System updates are managed for you in the cloud. You won’t need to worry about whether or not you are on the most current version of Trek Cloud’s SaaS business software. Your IT staff burden is reduced since we manage system updates for you. New system features roll out on a regular schedule, keeping you current and moving forward. Looking for SaaS Business Software to Run Your Business? 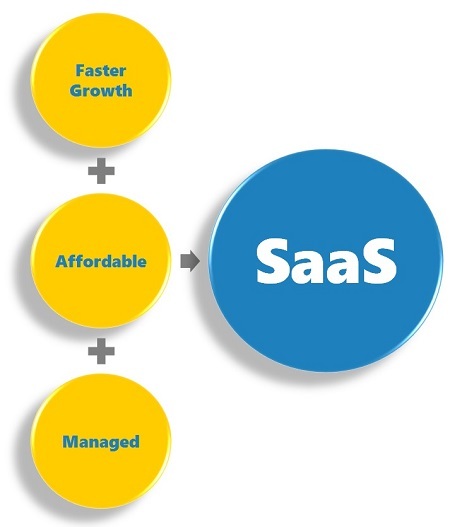 Contact us to learn more about the benefits of our SaaS business software. We would be glad to provide you with a free demo, discuss our pricing options and help estimate your return on investment.